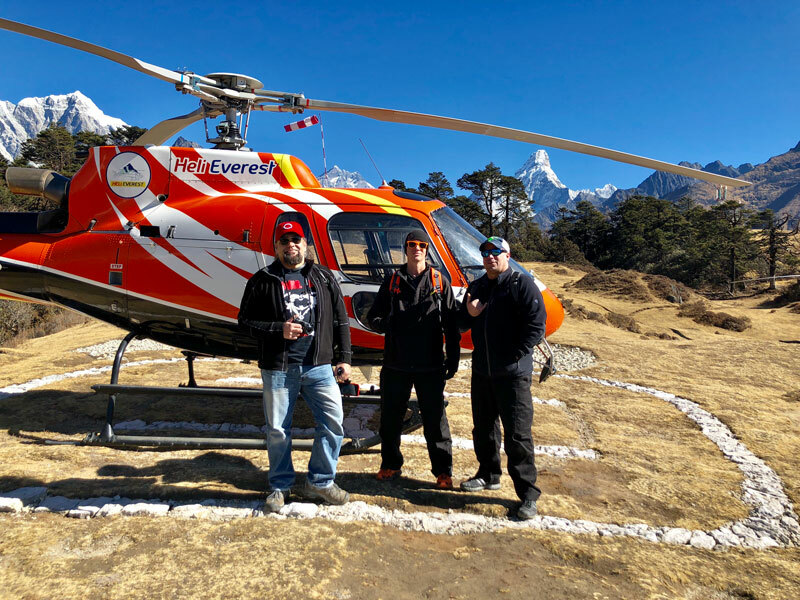 Everest Helicopter Trip will be the best option for them who have very short time to be in Nepal, or for them who are very willing to see Mt.Everest and its adjacent peaks but cannot do trekking, or those who want luxury tour. 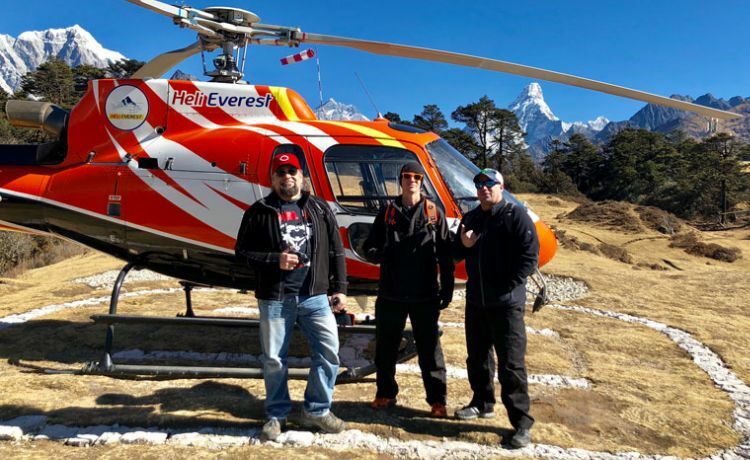 Trip to Everest by Helicopter provides great opportunity to see grandeur Himalayan peaks like Aamadablam, Makalu, Lhotse, Nuptse, Pumori after crossing Kathmandu valley, Lamjura Pass and Dudhkoshi River. The helicopter trip soars high above the Sagarmatha National Park, Khumbu Region, Khumbu Glacier, Gokyo Lake. 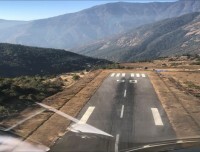 Ultimately, it lands at Kalapatthar, the best view point for Mt. Everest. 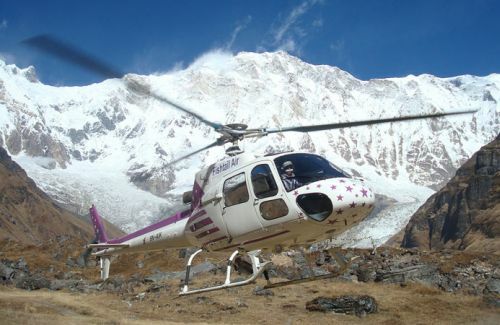 Himkala Adventure has been organizing many helicopter sightseeing from Kathmandu. We pick you from your hotel and transfer you to the domestic airport before 7:00 am. The helicopter flies when the airport opens (Sometimes it opens late due to weather condition). There is 2 USD fee extra for airport tax. It takes about 4 and half hours. First, it flies from Kathmandu to Lukla, lands there and checks and manages weight and flies to Kalapatthar at the height of 5545 m, takes about 10 minutes. You You are given time for taking pictures from the top of Kalapatthar all around of the stunning adjacent mountains. It flies again to Everest Hotel for breakfast. You should pay 25 USD for breakfast and 36 USD parking fee extra per person. Finally after breakfast, the helicopter flies back to Lukla, checks everything, does refuelling, manages weight and flies back to Kathmandu. This is how we have been operating and people are enjoying such trip in short period of time on the lap of Mt. Everest. If you are interested in chartering or sharing, please kindly let us know better 2 days before. Please contact us for the cost details. Day 01Helicopter flight to Everest early in the morningWe drive from hotel around 6:15 am and reach to domestic airport at 6 am. 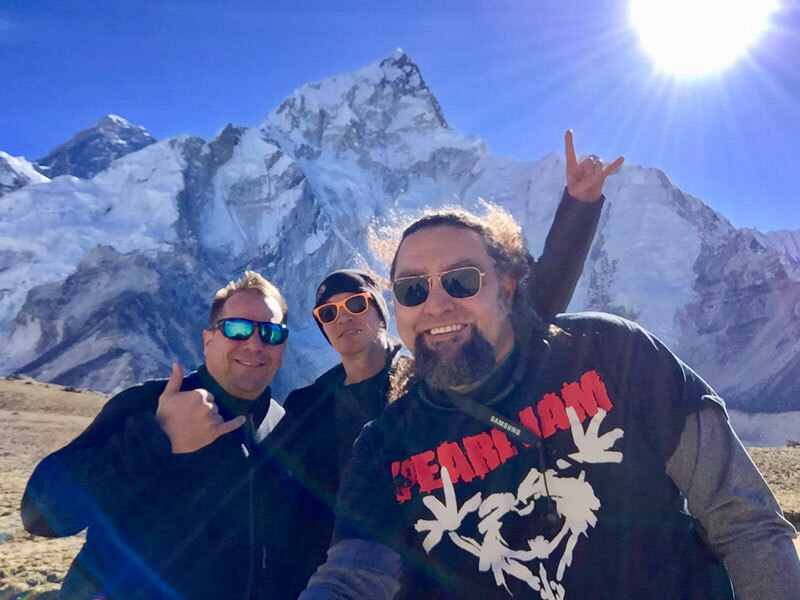 We fly at 7 am and It is about 3.5 - 4 hours flight around Everest where we get very close (about nearly 200 m) view of Mt. Everest and other lower mountains. 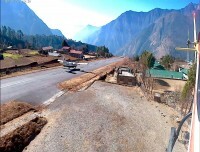 We make a swoop around Khumbu region before refueling it in Lukla airport. This is a pleasant trip to cover everything in a short span of time. 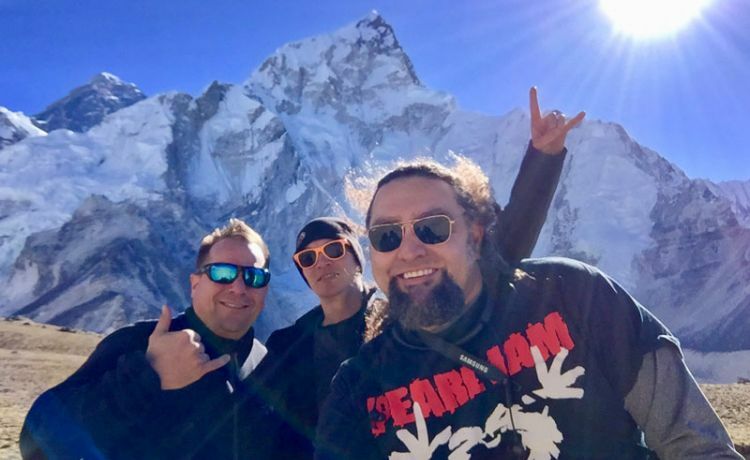 1) How is Everest Helicopter Sightseeing? What can you see there? The flight takes off from Kathmandu early in the morning at about 7:00 in the morning. The helicopter will fly parallel to the Himalayan ranges. You will fly across the panoramic Himalayan ranges that are usually covered with snow. As you take off from Kathmandu, Langtang Lirung (7245m) looms before you. The chopper turns east towards Gaurishankar and Everest. 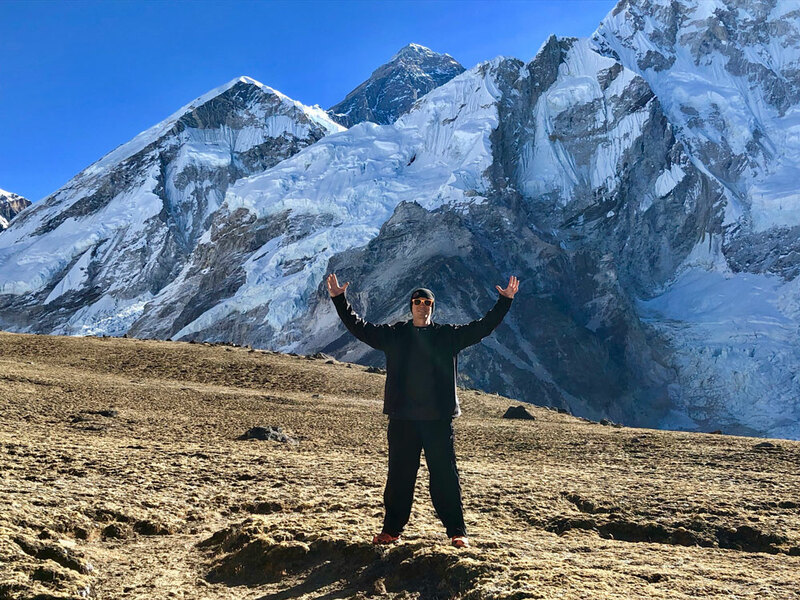 As you travel you will be watching unrestricted view of Gosaithan (8046 m), Choba Bhamare (5960 m), Gaurishanker (7134 m), Melungtse (7161m), Chugimago (6259 m) and then prominent peaks like Numbur (6957m) and Cho Oyu (8201m) appear as you approach Syangboche airstrip. 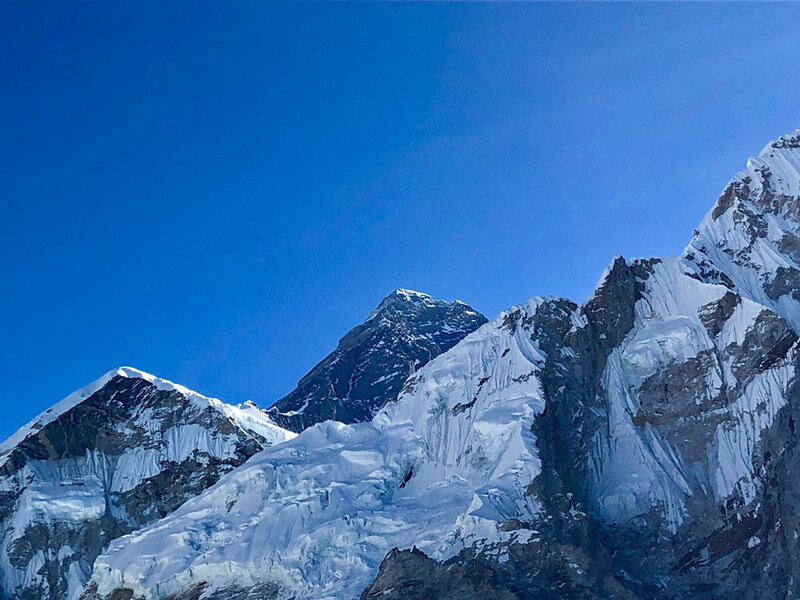 From Syabgboche you can see the majestic Mt.Everest (8848m) and picturesque Amadablam (6812 m). The helicopter stops at Syangboche for the short break. You could get a closer look at the famous Tyangboche Monastery. Time to walk around, stretch your body and get as many photos as you want!!! The air at this elevation is cool and refreshing. 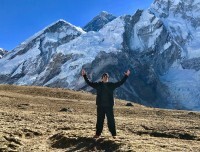 Your return journey takes you further inside Khumbu valley to Pheriche (4267m) and closer to Mt. Everest for a close up view. Retrace the flight route back to Kathmandu. 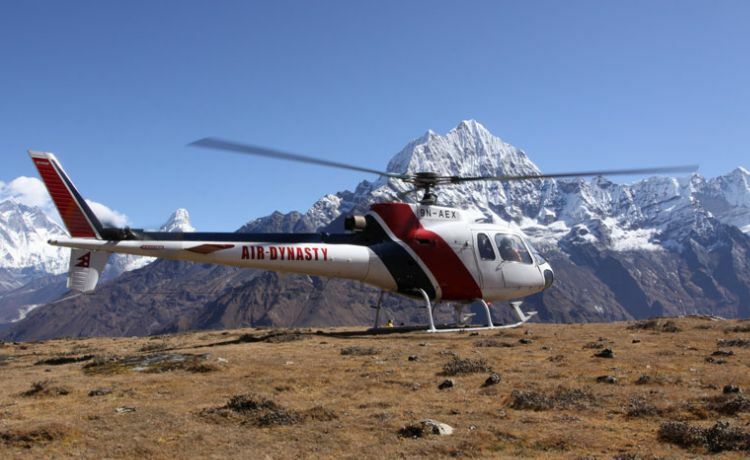 2) How long is the helicopter sightseeing to Everest region? It takes 3 and half hours to 4 hours. 3) Where does it land? Does it land to Everest Base Camp? 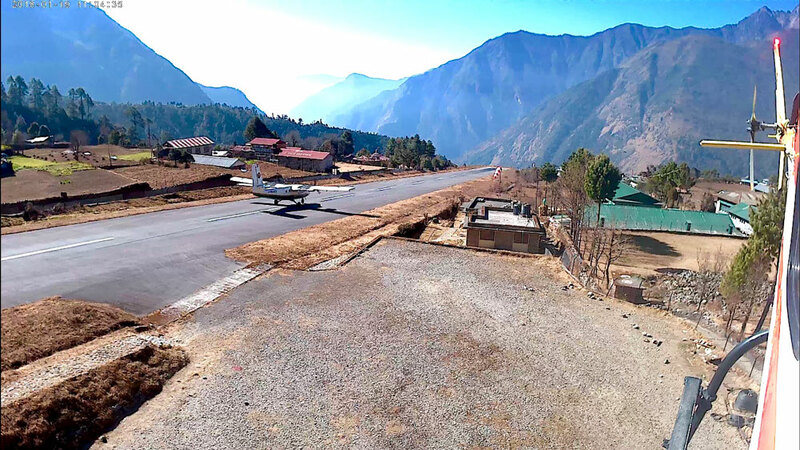 Firstly the helicopter lands at Lukla airport, then to Kalapatthar, the vantage point for breaktaking maountain view where you take pictures. Then it lands at Everest View Hotel, then to Lukla and flies back to Kathmandu. It doesnot land at Everest Base Camp but you could view Khumbu glacier, base camp while flying. 4) How many people can go at a time? Six people can go at a time but we should check the weight before we fly. 5) Can we charter the helicopter? Is it possible on sharing? Yes, you could charter or share the helicopter.Please kindly let us know at least a day befor, better to know 2 days before. 6) What kind of helicopter is this? How many windows are there? Is it possible to have window seat by each person? This is 6 seater helicopter. There are 4 windows. 4 people can have windows. The is managed by crew. 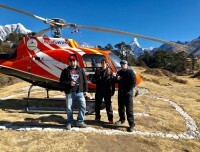 7) Can we do Heicopter sightseeing to Everest from Pokhara? Yes, But it is very expensive because Pokhara is in the west from Kathmandu and Everest region. You should fly to Kathmandu first, land at Kathmandu airport, then fly to Lukla again. 8) Is breakfast included in this cost? No. There is no breakfast included in the total cost. If you want to have have breakfast, you have to pay 25 USD extra. 9) Does it include hotel pick up and drop off? The helicopter company doesnt do hotel pick up and drops off, but Himkala Adventure will manage to do it to our guests. 10) Does it include passenger insurance? 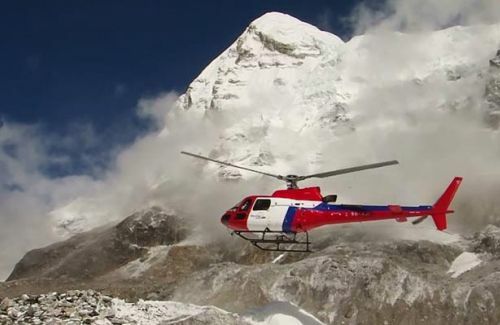 There is passenger insurance during the Everest helicopter sightseeing. It means there is fully inside insurance. 11) Are there extra fees to be paid? 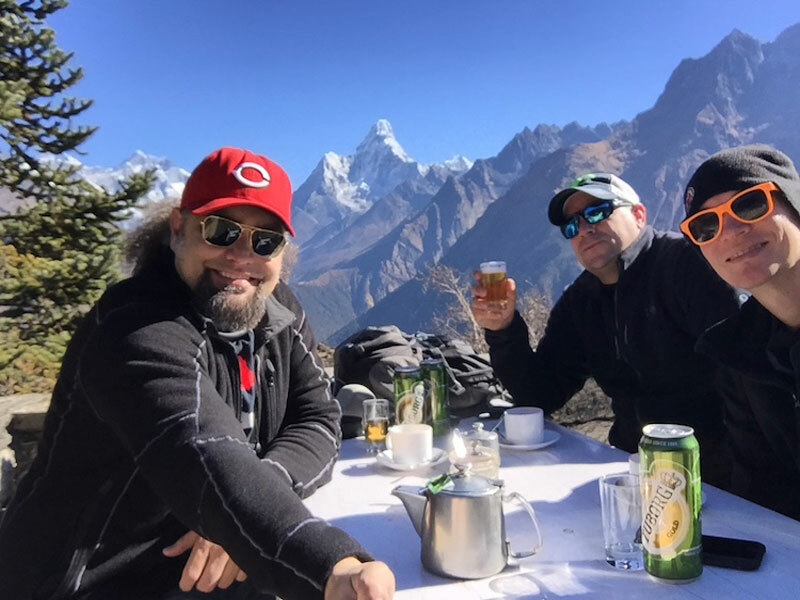 The extra fees here are 2 USD per person for the airport tax, should be paid before you fly; 36 USD per person helicopter parking fee in Everest Hotel, and 25 USD for the breakfast. 12) Can we pay by credit card? Yes, you could pay by your credit card. We accept credit card. 13) How much is the total cost? or, call at : 9841376470. We will let you know the cost and further details. There may be some kind of hindrances caused due to bad weather, natural calamities or due to political strife etc. which are beyond our control, can cause the change of itinerary. The itinerary can be altered. Taking in to the consideration of the best interest of the whole group, we try to minimize the effect of the changes but we are not responsible for the delays or your other schedule.